The Environmental Working Group (EWG) has analyzed nearly 20 million drinking water tests conducted by water suppliers across the U.S. over a 4 year span, and has found a total of 204 industrial chemicals in U.S tap water. Many of these chemicals were found at concentration levels above governmental-issued health guidelines. However, the majority of chemicals found have no set safety-based limit. Industrial chemicals may contaminate water through many ways, including factory discharges and consumer products. Most industrial chemicals pose serious, long-term health effects. Benzene, a volatile organic chemical, is a clear, colorless aromatic liquid. It is highly flammable. Benzene is used when making plastics, rubber, resins, and synthetic fabric such as nylon and polyester. It is also used in printing, paints, and dry cleaning. Benzene may contaminate water through factory discharge and leaching from gas storage tanks and landfills. Drinking water contaminated with Benzene in excess may result in anemia, decreased blood platelets and an increased risk of cancer. BPA is a synthetic organic compound used in the manufacture of epoxy resins and other polymers. Since the 1950's, it has been used to make a variety of common consumer goods such as baby and water bottles. Epoxy resins containing BPA are used as linings on the inside of many food and beverage cans. Since 2012, BPA has been banned from use in baby bottles and sippy cups. The CDC found detectable levels of BPA in 90% of tested urine samples taken from the U.S population. BPA is known as an endocrine disruptor which means it may interfere with the endocrine system, producing adverse developmental, reproductive, neurological and immune effects. Di-n-butylphthalate is one of the most common chemicals found in drinking water. Di-n-butylphthalate is a chemical from a group of industrial plasticizers called phthalates. It has been found in water used by 5 million people. Phthalates have been linked to birth defects and reproductive toxicity. Hexavalent Chromium (Chromium-6) is is a toxic heavy metal made famous by the Erin Brockovich movie. Though it can occur naturally in the environment, Hexavalent Chromium may also contaminate water through leaks from industrial plants and hazardous waste sites. Hexavalent Chromium is a known carcinogen that has been linked to lung, nasal and sinus cancer. According to the Environmental Working Group (EWG), Hexavalent Chromium has been detected in the drinking water of at least 72 million Americans in 42 states. MTBE is one of the most common chemicals found in drinking water. MTBE is a member of a group of chemicals known as fuel oxygenates. MTBE may contaminate water through leaking of underground storage tanks and pipelines, spills and emissions from marine engines into lakes and reservoirs. It has been found in water supplied to 12 million people. MTBE is associated with liver and kidney damage, and nervous system effects. PCB's are a group of chemicals which can be odorless or mildly aromatic solids or oily liquids. PCB's have been used in many ways including fire retardants, plasticizers, inks, lubricants, pesticide extenders, and adhesives. 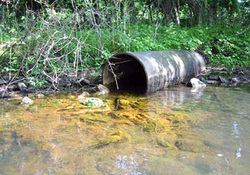 PCB's may contaminate water through runoff from landfills and discharge of waste chemicals. Drinking water contaminated with PCB's in excess has been linked to many health effects including immune deficiencies, problems with the thymus gland, reproductive or nervous system and an increased risk of cancer. Fluoride has been added to water since the 1950's as a measure for reducing the incidence of tooth cavities, however, fluoride may also contaminate water through erosion of natural deposits and discharge from fertilizer and aluminum factories. Fluoride has been linked to many health effects including bone disease, systemic disorder, increased risk for cancer, Down syndrome, heart disease, osteoporosis and bone fracture, immune disorders, low intelligence, renal disorders, Alzheimer disease and allergic reactions. VOC's are carbon-containing compounds that are contained in a wide variety of commercial, industrial and residential products including fuel oils, gasoline, solvents, cleaners and degreasers, paints, inks, dyes, refrigerants and pesticides. The most common VOC's found in water are chlorinated solvents and fuel components. Human activity is responsible for the majority of VOC's found in the environment. If improperly discarded, theses chemicals soak into the ground and eventually end up in groundwater where they can easily migrate to nearby wells, contaminating drinking water supplies. Drinking water contaminated with VOC's in excess may be harmful to the central nervous system, kidneys or liver. Some VOC's are known or suspected carcinogens.